Your period is probably a time you look forward to least every month. It may be a total drag, but that does not mean you should skip the gym and eat candy bars (no matter how tempting they look.) 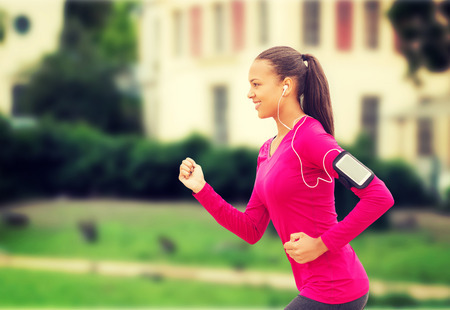 There are many studies showing physical activity can reduce PMS symptoms and make this time a bit more bearable. Stacy Sims, PhD, an exercise physiologist for USA Cycling Women’s Track Endurance Program and co-founder of Osmo Nutrition explains, “When your period starts, your estrogen and progesterone levels drop. And because of this, women can access carbohydrate/glycogen easily, as compared to high-estrogen time periods [when we] rely more on the slow breakdown of fat.” In other words, this hormone shift makes fuel more accessible to your body, allowing you to push harder and get more out of short, fast-paced workouts than you would during other times of the month. If you are not feeling in the mood for a high intensity workout, a simple stroll through the park or even at the mall will count as a form of exercise for the day. You may even feel better with this type of workout because it will help reduce inflammation through blood flow. In a worst-case scenario, if you just cannot seem to find relief in exercising during your period, and the cramping is unbearable or you have a super heavy flow, consider talking to your OB about your period. They will help figure out a plan to relieve some of the symptoms of your PMS and get you back on your feet.